Apr 30 UPDATED: The Celebration's Continue! 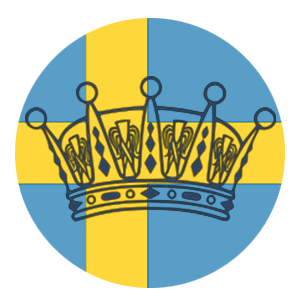 Tonight the Royal Family will attend a private banquet at the Royal Palace in Stockholm. We are seeing some videos and pictures thanks to Expressen currently. We will see photos of the arrivals but that is it of the dinner. Royals like to eat in private- I believe we can all relate to that! Queen Silvia is the first one we've seen photos of. She's in a new red gown with some floral detail on the side/back. She is wearing the Connaught Tiara with her modern Diamond Flower earrings. She appears to be wearing a diamond necklace just like last night. When we get better photos I will post them but for now check out Expressen's Page. The Queen's bag is very old- She's had it for close to 40 years. It was a gift from Princess Margaretha who embroidered it. It was on display with the Queen's Nobel Gowns in Stockholm about 10 years ago. Madeleine is the first we saw. She is wearing her Elie Saab dress previously seen at her Pre-Wedding Dinner and worn by Victoria last year. She paired it with her favorite tiara- Queen Silvia's Fringe Tiara and wore for the first time the Epaulette Earrings. On her left wrist she wore Princess Lilian's favorite Diamond Bracelet. I believe she is carrying a new clutch- she has one very similar to it but the sequins are in a chevon striped pattern. I stand corrected- her clutch is not new- but it is just double sided. One side has horizontal stripes and the other has a V shaped stripes. Her shoes appear to be from Jimmy Choo. Victoria was the last for us to get a glimpse at. She is wearing a new Elie Saab gown. She paired it with Princess Lilian's Laurel Wreath Tiara and a diamond necklace. I would have liked it better without the necklace. She is wearing what looks like the top half of the Brazillian Parure Earrings. She is also carrying a new clutch also from Elie Saab. Her shoes we originally thought were from Roger Vivier but now we are unsure. Victoria's shoes come from Elie Saab- just like the rest of her outfit!